strategy session in Kuala Lumpur a success. 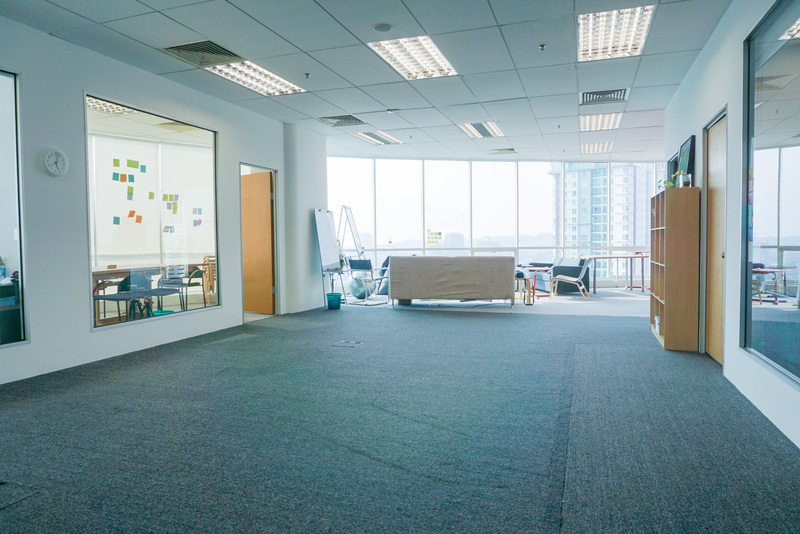 The Tandemic Innovation Studio is a purpose-designed space for your next brainstorm, strategy session, or workshop. 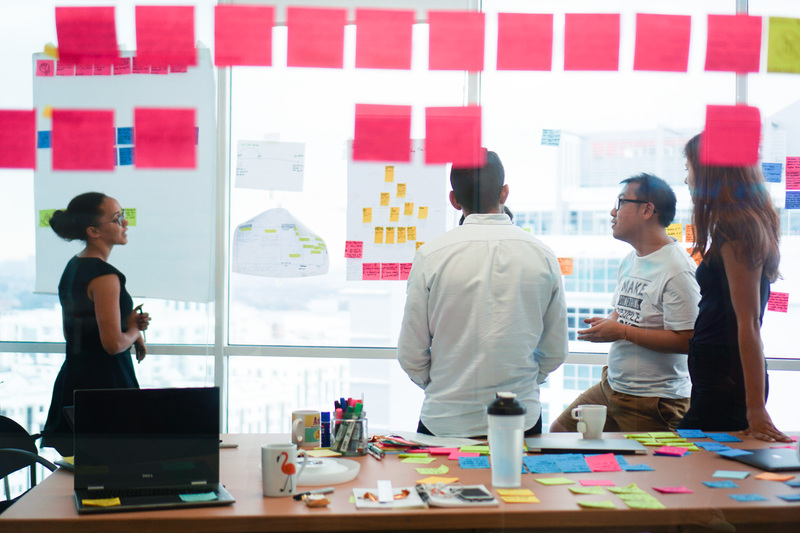 As an innovation firm that has conducted hundreds of workshops, we wanted to design a space that would be ideal for creative and productive work. The space features large glass panels for collaborative work and visualisation. It has great acoustics to allow for multiple discussions. The open setup allows for a variety of space and seating arrangements. Conducive for sparking creativity, our floor-to-ceiling windows provide plenty of natural light and an inspirational view of the city. Looking to host a talk or large group sessions? Our space can accommodate up to 40 people. Looking to do interactive workshops or medium-sized group sessions? 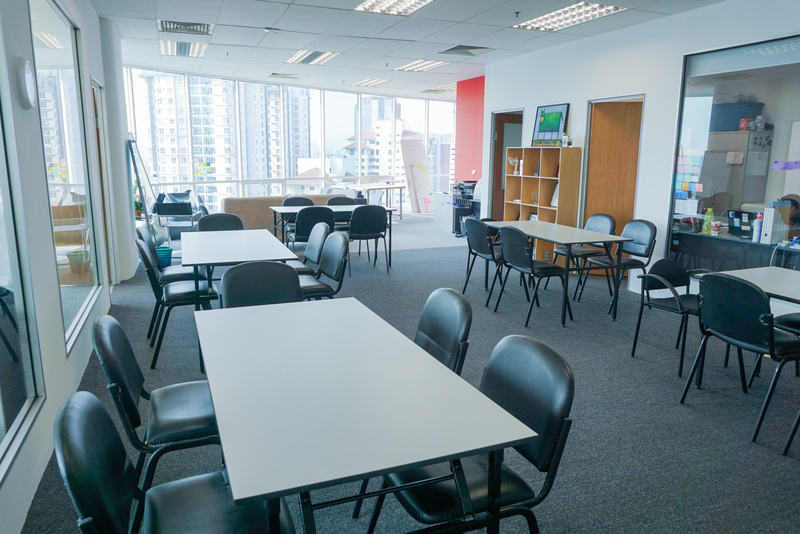 Our space can accommodate up to 30 people with plenary space and five break-out areas. Looking to do innovative brainstorms or small group activities? Our space can easily accommodate 10 people for these sessions. We are 8 minutes walking distance from TTDI MRT station. 1. Park in the Oval Damansara building for RM 4 per hour with a maximum of RM 16 per day. 2. Park next to Wisma TA at the open parking space for RM 5 per day. Limited event dates are available, register to secure your spot.